The Hotel ibis Cascavel is located 437 yds (400 m) from the JL shopping center and 6.2 miles (10 km) from the city's municipal airport. The hotel has 102 apartments, of which six are adapted for guests with reduced mobility. All are equipped with air cond itioning and minibar, as well as offering free WIFI, free parking, breakfast and a 24-hour bar. The Hotel ibis Cascavel is strictly non-smoking. After a hard day's work, enjoy a delicious, wide range of drinks and appetizing snacks in a welcoming, friendly environment. It was ok. Price range avarage...nothing much to say. Building was new, staff was good. It was very nice to be at the hotel. I could be very relaxed and even put my business work in day. I only missed some more power plugs, especially near the bad. The meal was delicious, but could have some more options. With few defects, appreciated the clean rooms and the treatment at the reception and breakfast. Missed more information about breakfast in diferent time, till 10 o'clock but on saturdays till 11 o´clock. I wish would be till 11 all the days. Very satisfied with the hotel! Everything really clean, comfortable, the bed is great! The hotel has everything I expected from a Ibis standard. Very well located and delicious breakfast. Welcome service is basic, even for those who are an Accor Gold customer. Small room approprite for short and business trips. The location is good and near to banks (ATM), mall, city hall, and bus station. 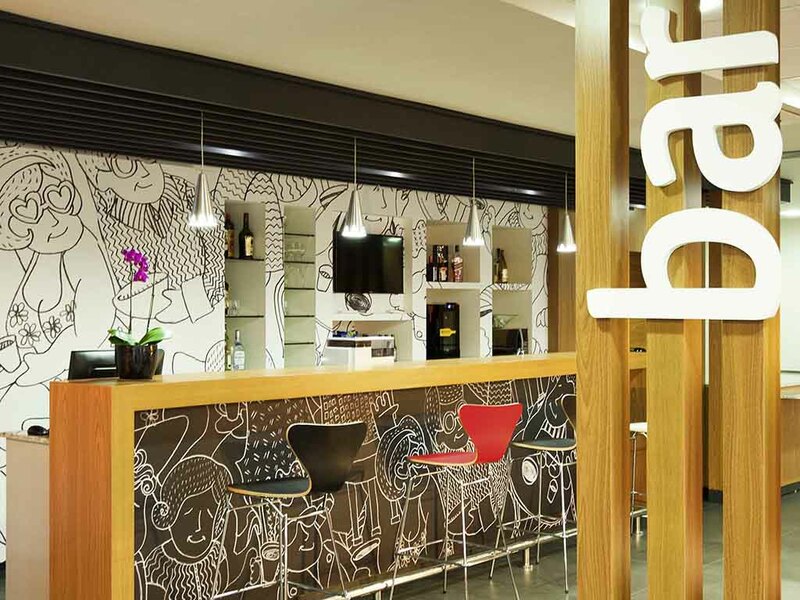 The breakfast is very basic when compared to other Ibis hotels in other cities of Brazil. The hotel is new, clean and comfortable. Quiet and comfortable stay. As a recommendation, i strongly suggest the installation of power sockets near the head of the beds. The hotel is very good, good location near to shopping, pubs, bar, bank, easy access by one of the most important street of the city. Very good sleeping quality, silence and calm, and the value is very good to the service that the hotel offers. I was received by very cordial attendants and the check in occurred quickly and flawlessly. In no time at all I was in my room and resting after a long road trip. In the next morning, I had a very nice breakfast and I was ready to hit the road again, feeling rested and strong. If anything could be improved, I believe that it is the sound level at the rooms. I woke up once or twice in the night due to noisy neighbours, but this can easly be attributed to them being too loud. Overall, my experience was very good and I hope to staying at IBIS again soon.